Microsoft Ignite, the 5-day annual conference for developers and IT professionals hosted by Microsoft, kicks off on Monday, September 24 in Orlando, Florida. CTGlobal will be attending this conference that welcomes members of the technology community from all over the world. 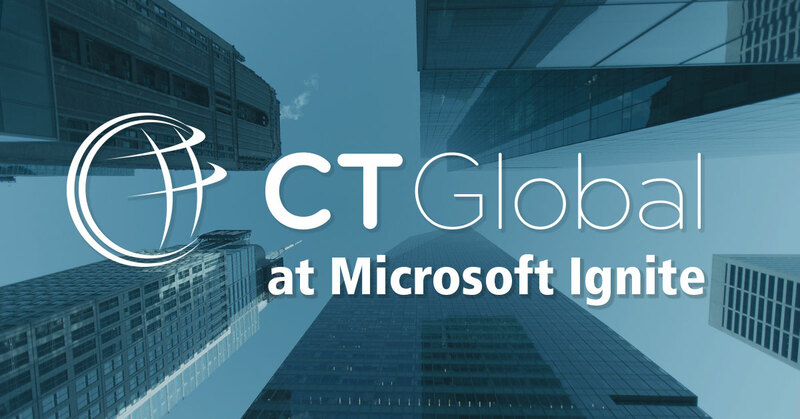 CTGlobal’s Principal Consultant, Microsoft MVP and Microsoft Regional Director, Kent Agerlund will be hosting two sessions at our strategic partner, Lenovo’s booth guiding you through Windows 10 Modern Management and how Lenovo, CTGlobal and Windows Autopilot go hand in hand. Agerlund will discuss how to get started and will separate myths from facts on Tuesday at 12:00 pm and again at 05:45 pm. Not to be missed! Our CEO, Peter Odgaard-Jensen and the rest of the expert team at CTGlobal will be ready to meet you. Are you?